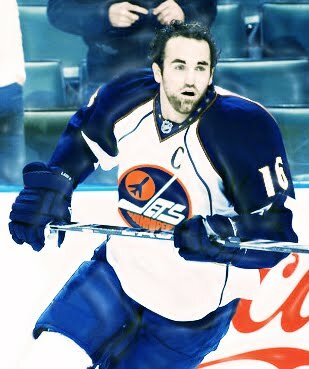 This is as dope as Winnipeg Jets Hockey will ever get in the Rap World! I've heard crickets with louder applause; it's criminal. Anyone that wants this team to be named anything other than the Winnipeg Jets is missing the Big Picture. Think that was lame? Welcome to THE WINNIPEG JETS NETWORK. In all seriousness, this is a site that was created to network all of the great Winnipeg Jets websites that are up and running. Please see our 'LINKS' tab above. 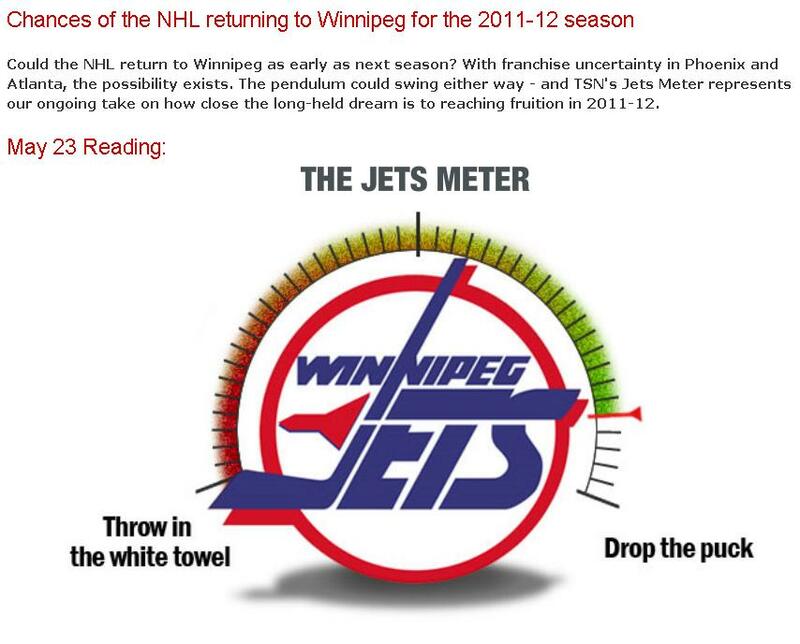 Now that the Jets are actually back in Winnipeg, the goal is to collect anything and everything Jets-related. We have occasionally borrowed from here and there, but we have always tried to reference the source. If your Jets-related work is visible/mentioned here, rest assured: Our site will be a benefit to your site - we network aggressively! If we have "borrowed" something from you and it really gets your goat, please contact us to discuss the matter. If we can join forces, that would be great - this is actually the goal! If not, and you insist that we take down something of yours, "the dude will abide"...if it is a logical request. We are only trying to get our Jets back to Winnipeg. They were OUR team after all! CONGRATULATIONS WINNIPEG--THE NHL HAS FINALLY RETURNED TO WHERE IT BELONGS! Now, let's get the name right! CONGRATULATIONS TO HOCKEY FANS IN WINNIPEG AND THROUGHOUT THE WORLD! ...AND DO WHAT WE CAN TO MAKE SURE THAT THE WINNIPEG JETS FLY AGAIN! 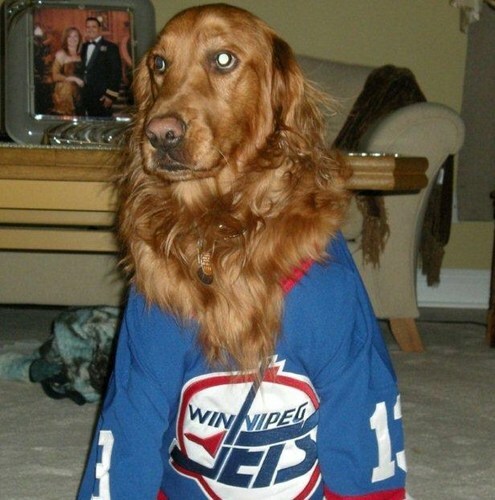 The Marketing Campaign for the WINNIPEG JETS brand grows STRONGER! Good luck to the NHL's Winnipeg/Manitoba (insert weak new name here). Or, how about the media stop writing articles trying to get the fans to stop trying to name the team the Winnipeg Jets! It clearly isn't working anyway--there is new story/angle for you! If you don't care what the team is called, then you can simply sit back and watch the show put on by those that do! There are a few mistakes being made in this campaign to stop the Jets brand from returning. First off, in this article, it refers to "clinging to memories from a bygone era"...no, it isn't a bygone era, it's bygone ERAS! The WHA, NHL 80's and NHL 90's Hockey in Winnipeg were (nearly) completely different from one another...but they are all remembered as Winnipeg Jets Hockey memories. How else could you celebrate The Golden Jet and The Finnish Flash in the same sentence?! No brand in Winnipeg's history has ever had a bigger global impact. No other hockey brand will ever sell as well. Which brings me to the 2nd mistake: The "merchandise be damned" comment. Has anyone ever seen a bigger advertising campaign for a Winnipeg Hockey team than in the last few weeks? This story has been everywhere and all you ever see is the Jets Logos on OLD-styled jerseys. Not only will people want NEW-styled jerseys, they will also want NEW player jerseys...throw in a NEW logo and those sales will destroy any Moose or Polar Bear sales--GUARANTEED! You might ask, "What if people can't afford new merch; won't they just wear their old merch?" Well, to be honest, they will wear it anyway, but if they really can't afford new merch, they probably won't be too much help in the ticket sales department either! The 3rd mistake is in regard to the "new chapter" point. The new generation that will star in this new chapter weren't even self-aware when the NHL was last in Winnipeg. Yet all the footage/news that I am seeing/reading about has these kids decked out in old Jets gear? Aren't chapters just part of a book? This new generation could be compared to Martians, when it comes to experiencing NHL Hockey in Winnipeg. What if Martians were to come to Earth next week, and they demanded to learn about Winnipeg Hockey at its finest? Well...I don't know about you, but I would be handing them the book about the FRIGGIN' WINNIPEG JETS!!!!!! Because I am not privy to ANY facts on this matter, I will (TENTATIVELY) congratulate ALL of Winnipeg and Manitoba...AND CANADA! Thanks to all that have had a look at this blog! How about the name of Winnipeg's new NHL Hockey team? Who Says Winnipeg Doesn't Have Hot Chicks? Will "the Prodigal Son" return to Winnipeg? Howard Bloom (on Canada AM) agrees Deal To Winnipeg Is Done. "Wpg needs 10,000 Season tickets sold...no easy task." Was it wise for Epic Puck Bunny to 'cry wolf' about any announcement regarding the potential relocation of the Atlanta Thrashers? It's debatable. On the one hand, this is a 'hot-button' topic, at the moment...and as we can all see, some backlash has come with the overnight attention due to EPB's false claim. On the other hand, many folks fight for fame (and even infamy) for their entire careers w/o this kind of success. In this day and age, attention can usually be found if you possess a combination of skill or knowledge, good looks & a willingness to stick your neck out. With the attention that she has received, EPB has proven that she fits the bill! Think what you will: Only someone with ANY SORT of Hockey credibility & influence could have hoped to pull off a prank like this. That, in itself, says something! The funny part is, if Winnipeg DOES get a team, we will ALL remember where one of the first big 'assurances' came from...whether it was factual or not. At that point, it will be hard to argue that EPB possesses any less credibility than the likes of a John Kincade or a Jay Clemons! Chris Vivlamore feels that there is a %95 chance that the Thrashers will move to Winnipeg. NHL Commissioner Gary Bettman reacts to speculation surrounding the Atlanta Thrashers.